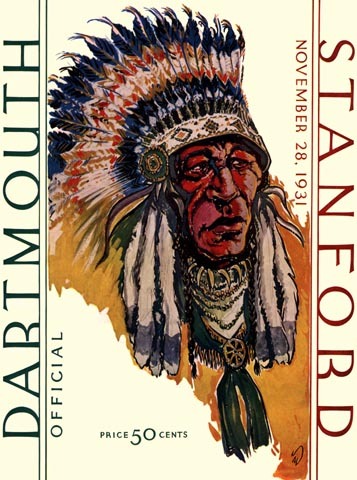 This game was billed as a matchup of the "Red Indians" of Stanford against the "Green Indians" of Dartmouth, and it was indeed a battle worthy of the intersectional hype----the interest was so great it had to be staged at Harvard in order to accommodate the ticket demand. Dartmouth entered the year-ending finale with only a single tie marring its record, while Stanford had but a solitary loss to powerful Southern Cal, but when the smoke had cleared the West Coast invaders had made off with the victory banner. Not quite as sweet as the previous week's 41-0 annihilation of California, but still a nice ending to a long season.